Australia Day is just around the corner! One last public holiday before start of Semester 1. QUT Library is taking a break too with all campus libraries closed for the public holiday. See our opening hours for more information. With the library closed make the most of your Australia Day this year by hanging out in the kitchen. It is no coincidence that your nice and cool fridge happens to be there too! Who doesn’t love a barbeque? Do it a little different this year and check out Asian-Style Grilling. The Foodie’s Beer Book : The Art of Pairing and Cooking with Beer for Any Occasion, is sure to have some great tips and tricks to keep your day full of fun, not to mention yum! Don’t know how to cook? We have you covered with The “I Don’t Know How to Cook” Book : 300 Great Recipes You Can’t Mess Up! Simply Smoothies has 200 recipes and easily shows you how to make the perfect Australia Day smoothie to cool you down. And for desert ice cream sandwiches are the way to go! Try Cookies & Cream : Hundreds of Ways to Make the Perfect Ice Cream Sandwich. If these suggestions don’t tickle your fancy, there are many more possibilities. QUT has lots of eBooks and videos that can help give you some inspiration for your Australia Day. Enjoy the public holiday and we look forward to seeing you back at QUT Library soon! On the 31st of July librarians around Australia are doing something naughty… we are doing something against the law….we are going to bake! What does baking have to do with copyright? FAIR (Freedom of Access to Information and Resources), an initiative from the Australian Library and Information Association, are pushing for copyright reform in Australia to ensure that everyone has access to the rich history of unpublished work which is currently collecting dust in boxes. In Australia, copyright is limited to 70 years after the death of the creator of a published work, but for unpublished work copyright lasts forever. FAIR is pushing for the same copyright laws to exist for published work and unpublished work. So what are unpublished works? Unpublished works can include diaries, letters, records, and recipes. Librarians from around Australia have found some unpublished recipes which are technically not allowed to be shared under current copyright law and popped them on the FAIR website for everyone to use. Their goal is to create a social media frenzy so that those who have the responsibility of enacting copyright reform can hear the public voice. 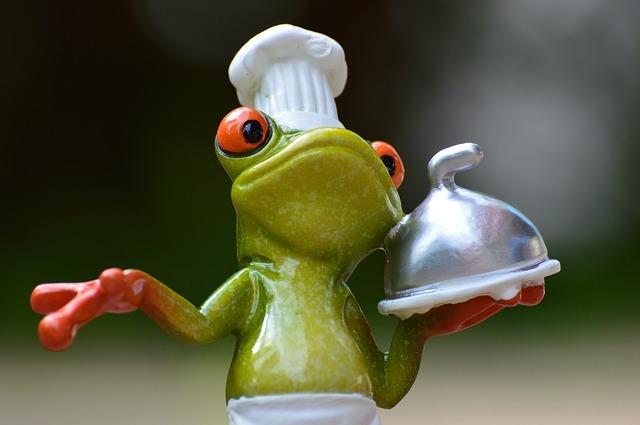 If you would like to participate on Cooking for Copyright Day on the 31st July why don’t you get a bunch of friends together and try out some of these recipes? 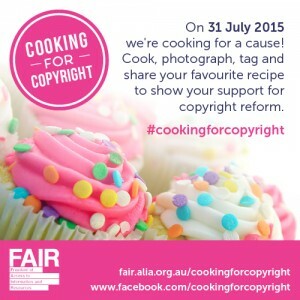 You can post pictures to the Cooking for Copyright Facebook page as well as using the hashtag #cookingforcopyright.